Director Quentin Tarantino has long had a knack for using music from the past and present to lend excitement and atmosphere to his films. For the much-anticipated Django Unchained (in theaters Christmas Day), a spaghetti-Western homage that tackles the subject of slavery, he has compiled an assortment of especially quirky, robust and evocative tunes (***1/2 out of four). The James Brown/Tupac mashup Unchained (The Payback/Untouchable) has inspired the most attention so far, but Rick Ross' darkly languorous 100 Black Coffins — co-written/produced by Django star Jamie Foxx — packs its own punch. John Legend sounds grittier than usual on Who Did That to You?, while Anthony Hamilton teams with Elayna Boynton for the chugging, soulful Freedom. There are vintage tracks by Ennio Morricone — who also contributes the haunting new Ancora Qui, co-written and with vocals by Elisa Tiffoli — and by fellow veteran film composers Jerry Goldsmith and Luis Bacalov, whose flashes of kitsch are buoyed by passionate, stirring foundations. 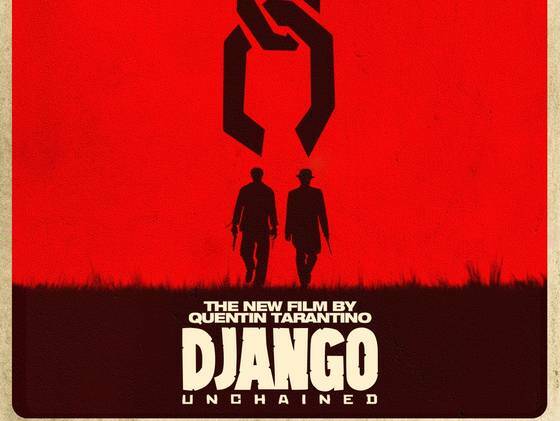 Like the best soundtracks, Django both entertains on its own terms and gets you juiced for the movie.